Note: For this post, you’ll need the basic understanding of how MVC works. 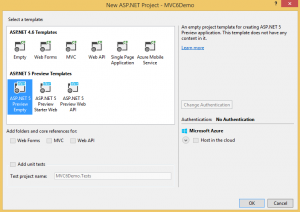 ASP.NET 5 MVC, Web API and Web Pages are combined into one framework to form MVC 6. 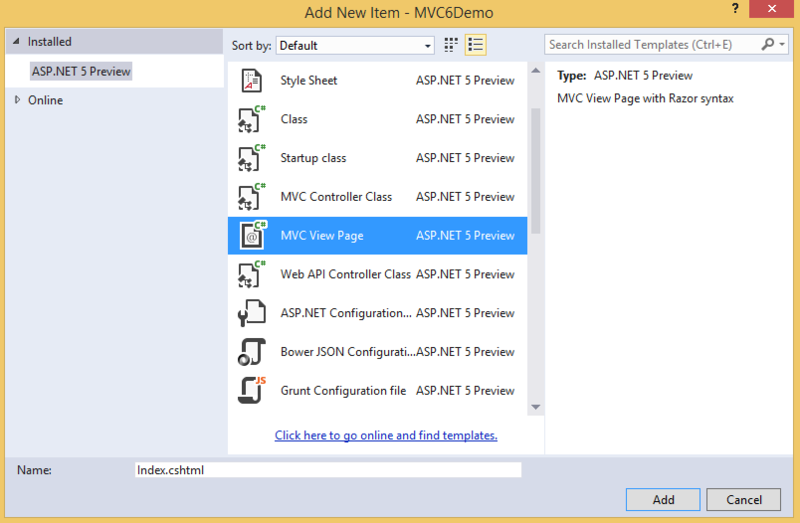 In previous versions of ASP.NET MVC, MVC controllers were different from Web API controllers. An MVC controller used the System.Web.MVC.Controller base class and a Web API controller used the System.Web.Http.ApiController base class. 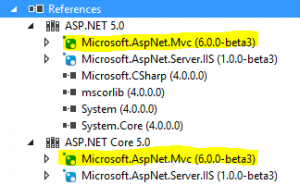 In MVC 6, there is only one Controller base class for both MVC and Web API controllers that is the Microsoft.AspNet.Mvc.Controller class. Figure: ASP .NET Web Application. Image: Name of the Web Application. 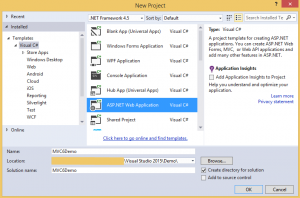 The new ASP.NET Project dialog for ASP.NET 4.6 templates allows you to select the type of project you want to create. Configure any combination of technologies such as WebForms, MVC or Web API, configure a unit test project, configure the authentication option and a new option is available to host your website in the Azure cloud. 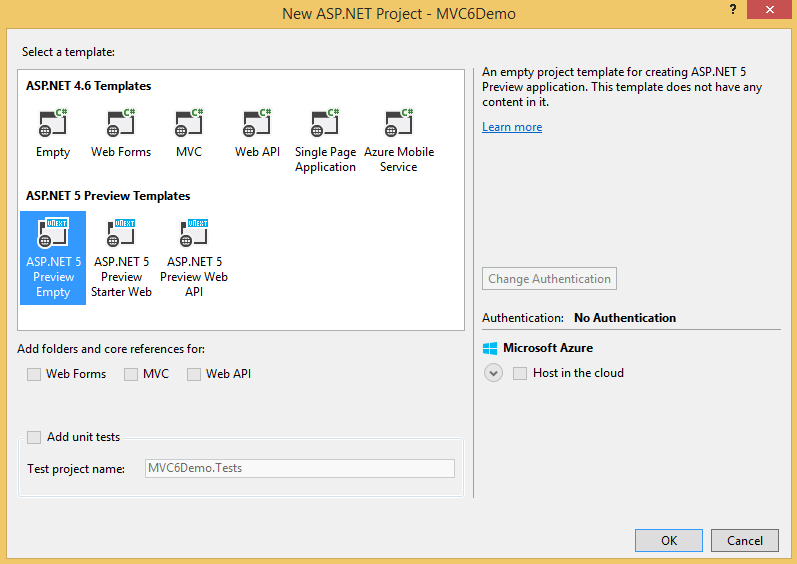 Adding to that, it also provides templates for ASP.NET 5. 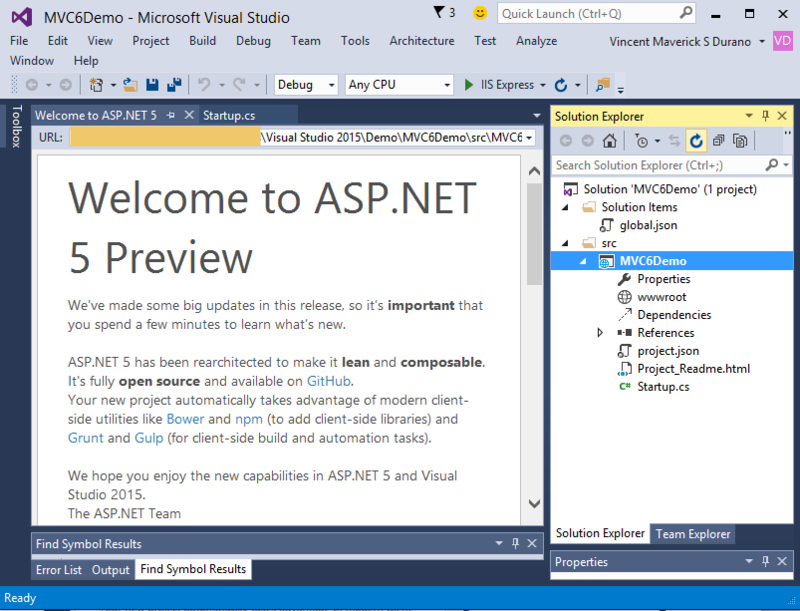 But the goal here is to build an MVC 6 application from scratch, so select the ASP.NET 5 Empty template from the dialog above. 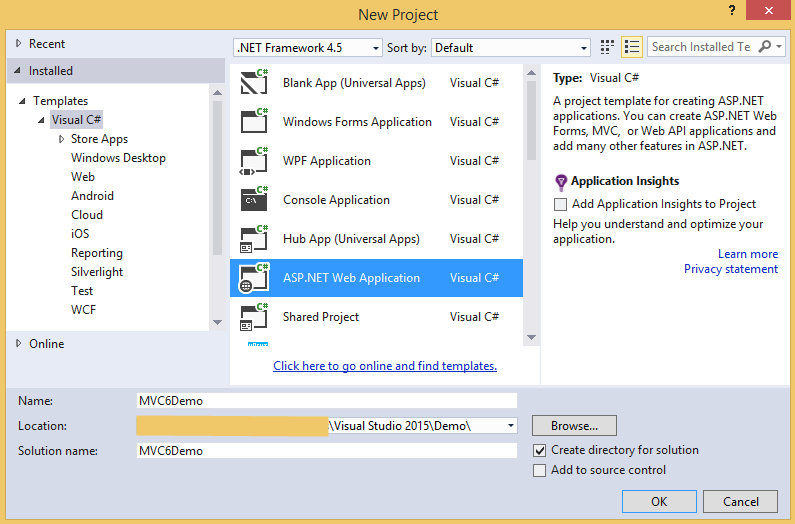 Then click OK to let Visual Studio generate the necessary files and templates needed. src folder: contains all projects that contain source code that make up your application. global.json: this is where you put solution-level settings and allows you to do project-to-project references. startup.cs: this is where you put your startup and configuration code. The “project.json” file serves as the new project file (.csproj/.vbproj). This is where we put all the dependencies that our application requires. The interesting thing about the project.json file is that it provides intellisense for the available packages when you add or edit dependencies. 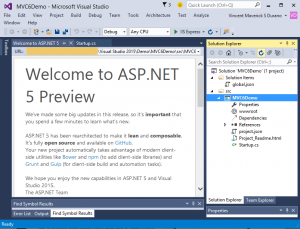 All packages that you’ve added from this file will be automatically pulled from NuGet. Correspondingly when you remove packages it automatically removes them from your project reference. A really great addition! The code above is almost similar to the old MVC for defining routes, except that we are now using the UseMvc method to setup the routes. The AddMvc() is an extension method that does all the magic for us. 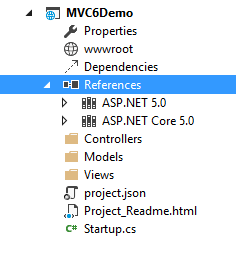 It basically adds the dependencies needed for MVC 6. 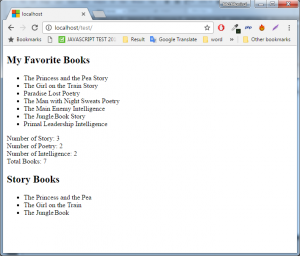 The “BookManager” class contains a readonly property that contains a list of books. For simplicity, the data is obviously static. In a real world scenario you may need to get the data from a storage such as database or any files that stores your data. 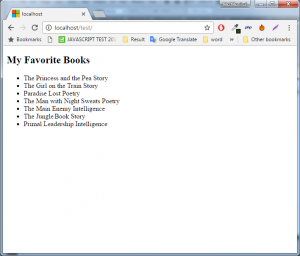 It also contains a GetAll property that returns all the books and finally a GetBooksByType() method that returns a list of books based on the book type. 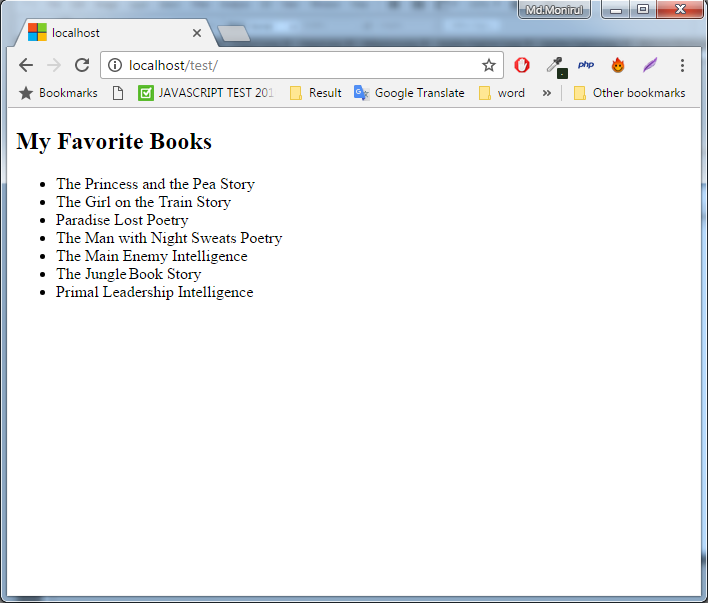 In the above code snippet, IActionResult() method returns the list of books that comes from the model. 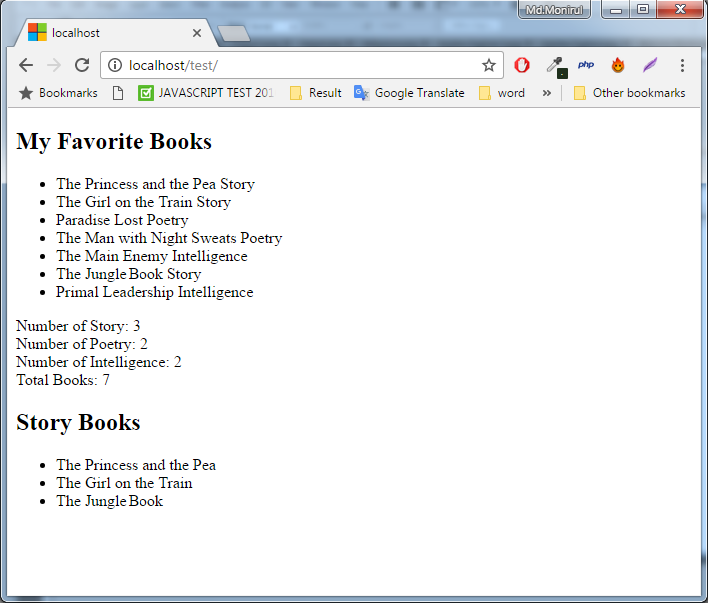 That is the output when running the app in the browser. That’s it! Now let’s try to look at other new cool features in MVC 6. 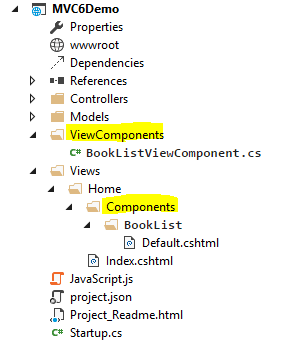 Another cool feature in MVC 6 is the “View Components”. If you remember, in previous versions of ASP.NET MVC, the Html.Action() helper is typically used to invoke a sub-controller. A sub-controller may display stuff like tag clouds, dynamic links, side bars or whatever. 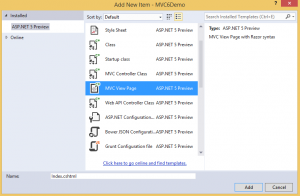 ASP.NET MVC 6 introduced the new View Component to replace widgets that use Html.Action(). 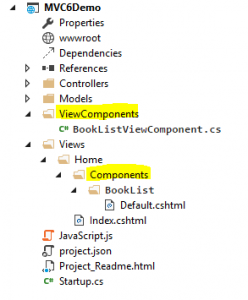 View Components also support fully async allowing you to make a view component asynchronous. Just like the controllers, view components also follow a convention for naming classes. This means we can create a view component by adding the suffix “ViewComponent” to your class. Adding to that ViewComponent must be public, non-nested and non-abstract classes.